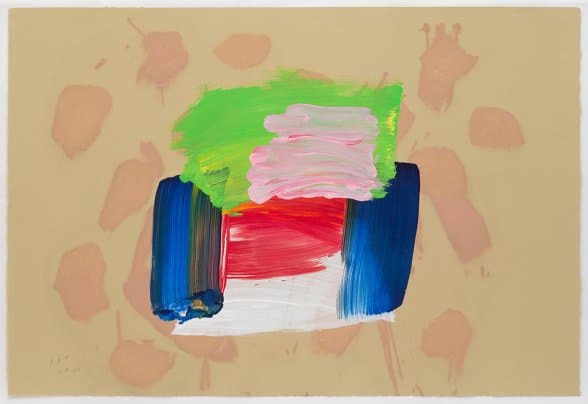 Howard Hodgkin (born 1932) is a British painter and printmaker. His works are distinguished by dense layers of expressive brush strokes, richly saturated colors, and vivacious shapes. Although affiliated with abstraction, Hodgkin’s paintings evoke specific memories, social encounters, or atmospheric conditions. Yet, the canvases—and often the frames incorporated into the imagery—are worked and reworked to such a level that the original subjects are obscured almost beyond recognition. Hodgkin’s works range in scale from intimate, enigmatic “portraits” to large-scale architectonic abstractions. Howard Hodgkin was born in Hammersmith, London in 1932. He became interested in art early on, precociously declaring his profession at the age of five. Hodgkin and his family were evacuated from London at the onset of World War II and spent three years living on Long Island. 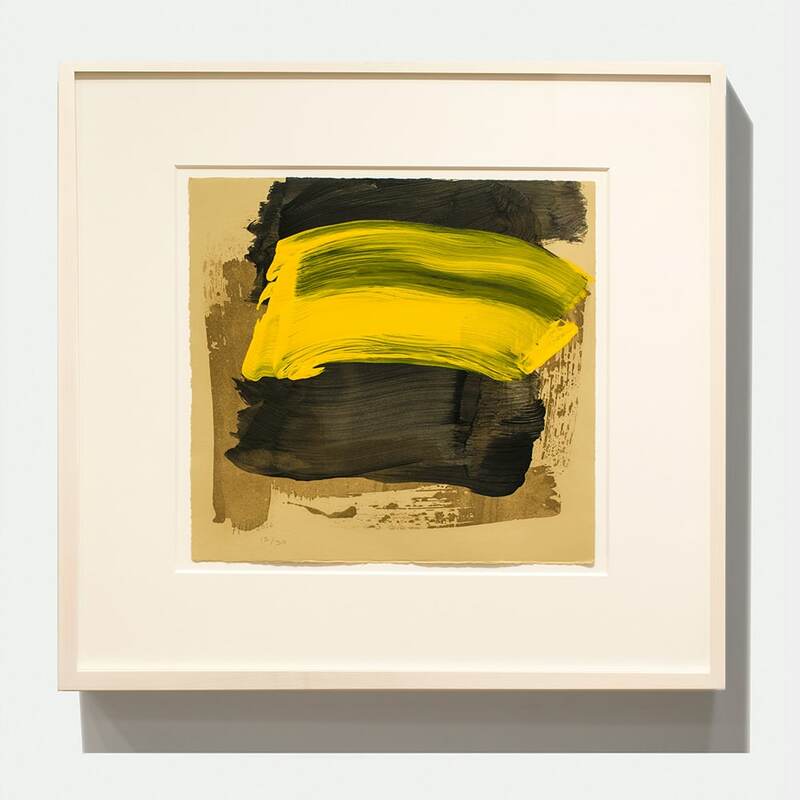 Experiences at the Museum of Modern Art in New York opened Hodgkin’s young mind to the artistic possibilities of Modernism for the first time. From 1949 to 1950 Hodgkin studied at the Camberwell School of Art. However, pressure to conform to the Euston Road style practiced by his instructors left Hodgkin feeling like an outsider. He then studied at the Bath Academy of Art, Corsham starting in 1950. During his four years there, he had his first public show in the Bath Art Society’s group show. In 1955 Hodgkin settled in London. A year later, Hodgkin was teaching part-time at the Bath Academy of Art. In 1960, at age 28, Hodgkin had his first solo exhibition at Arthur Tooth & Sons in London. He then moved his studio to 12 Addison Gardens, west London. Hodgkin took his first trip to India in 1964, financed by London dealer John Kasmin. Hodgkin’s time in the subcontinent affected his work on a profound level and he would return many times. Hodgkin’s work was displayed in London along with his contemporaries Richard Smith and Robyn Denny. He was also briefly incorporated into the British Pop Art movement, but felt that his work fell outside of that categorization. In 1966, Hodgkin opened another studio in Wiltshire, while maintaining his London location. During this time, he began teaching classes at Chelsea School of Art in London. By 1970 Hodgkin was made a Trustee at the Tate Gallery. Shortly after, in 1971, he had his first solo show abroad in Cologne, Germany. Hodgkin’s reputation as an artist continued to grow organically throughout Europe. 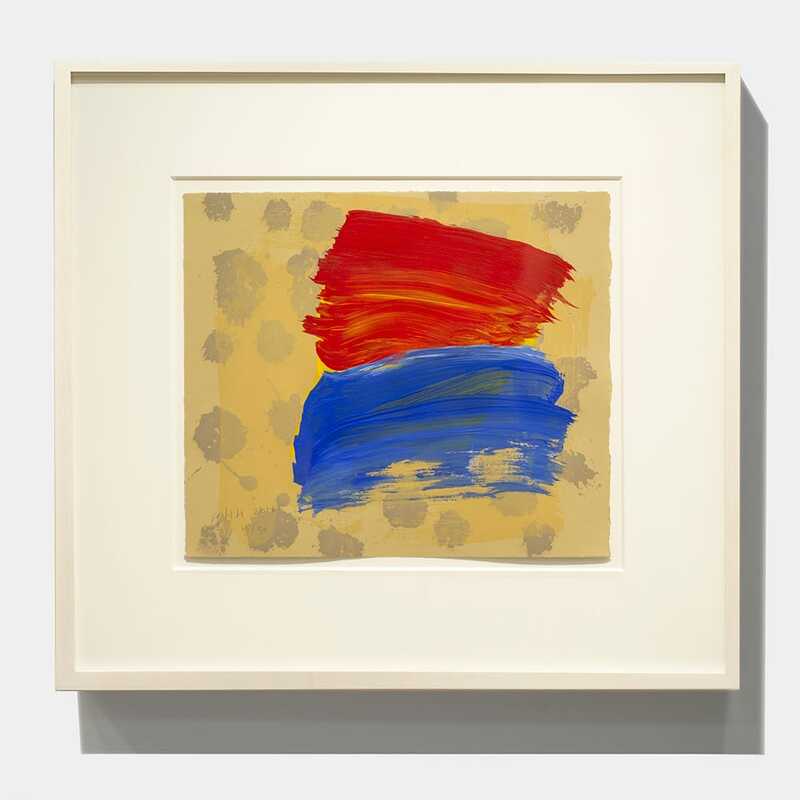 At age 41, Hodgkin made his American debut at the Jill Kornblee Gallery, New York. 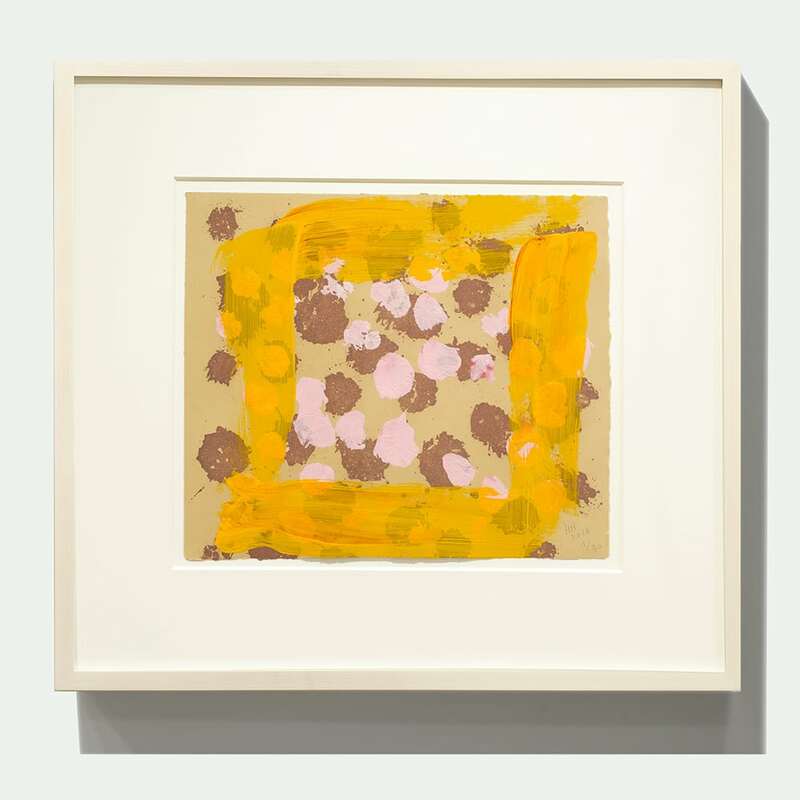 His work was a success in the United States and Hodgkin felt that the audience understood the balance he struck between representation and abstraction. In 1976 Hodgkin was appointed CBE, Commander of the British Empire, and was honored as an artist in residence at Brasenose College in Oxford. In 1978, he was appointed as Trustee of the National Gallery in London. In the 1980s Hodgkin held significant exhibitions in both the United States and United Kingdom. In 1984, he represented Britain at the Venice Biennial with twenty-four paintings inspired by international travel. Hodgkin was awarded the 1985 Turner Prize for the international impact of his painting. The same year the Tate Gallery held an exhibition of twenty-five important prints that traveled to a number of international locations. In 1988, Hodgkin was appointed as an Honorary Fellow by Brasenose College in Oxford. 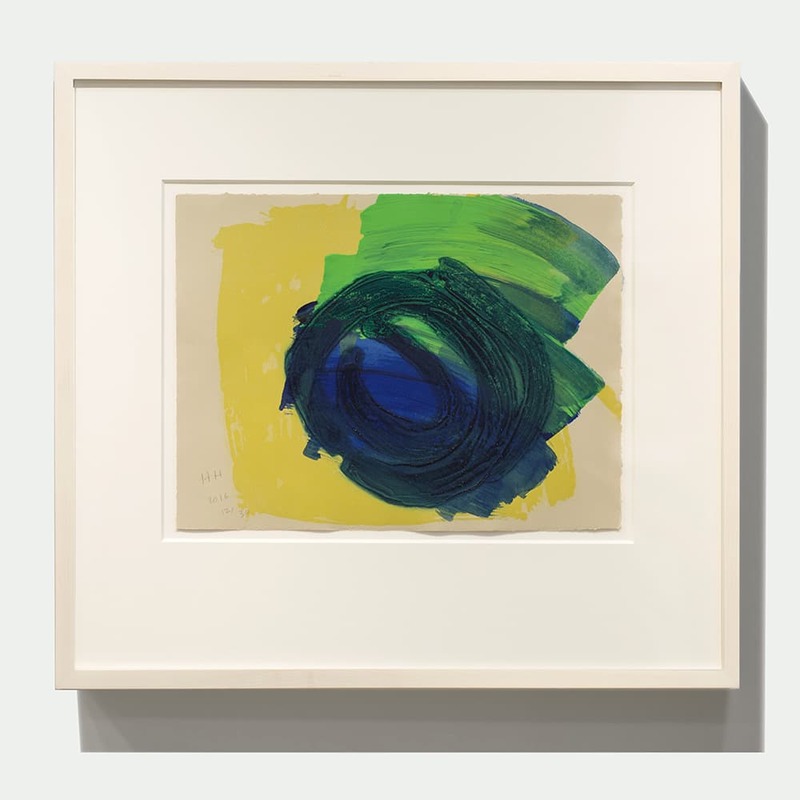 In 1990 the British Council organized the exhibition Howard Hodgkin: Small Paintings, which traveled extensively throughout Europe to Nantes, France; Barcelona, Spain; Edinburgh, Scotland; and Dublin, Ireland. Hodgkin was awarded knighthood in 1992. 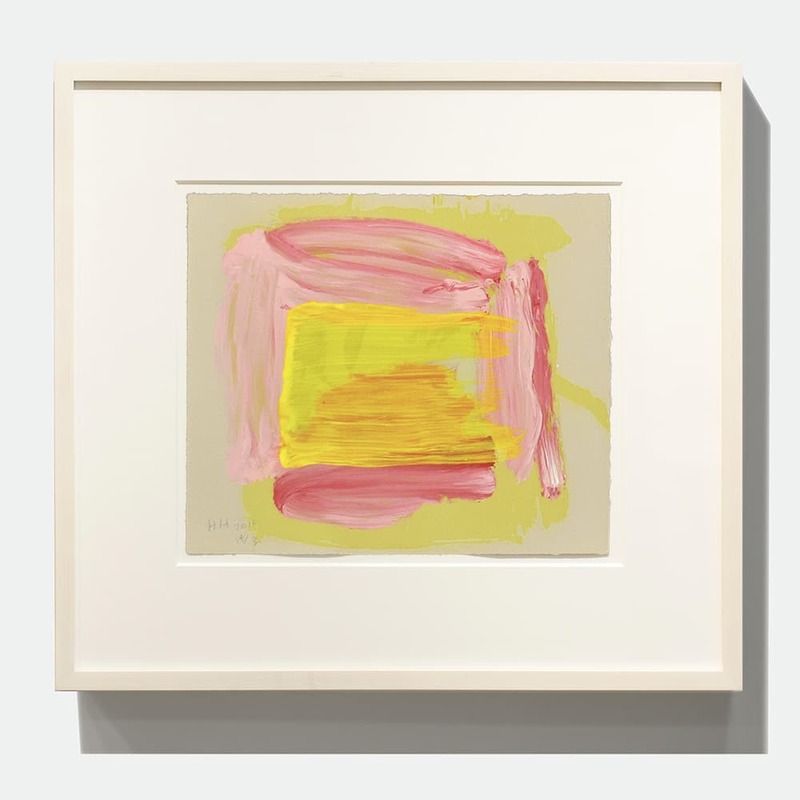 The 1990s saw an expansion of Hodgkin’s work both in terms of physical scale and an increasingly international acclaim. Breaking from his smaller works, he created large-scale compositions for the BBC Billboard Art Project. In 1994 Andrew Graham-Dixon wrote the first retrospective monograph on Hodgkin. From 1995–96 an exhibition of thirty-eight works traveled to major institutions throughout the United States and Europe including the Metropolitan Museum, New York; the Modern Art Museum, Fort Worth; the Hayward Gallery, London; and Kunsteverein für die Rheinlände und Westfalen, Düsseldorf. Hodgkin was awarded the Shakespeare Prize in 1997, and received an Honorary Doctorate from the University of Oxford in 2000. After 2000, Hodgkin began dedicating more effort to printmaking and created some of his largest prints including works in the series As Time Goes By. Hodgkin continues to produce powerful works and engage the artistic community. In 2010 he held exhibitions at the Ashmolean Museum, Oxford and Modern Art, Oxford. 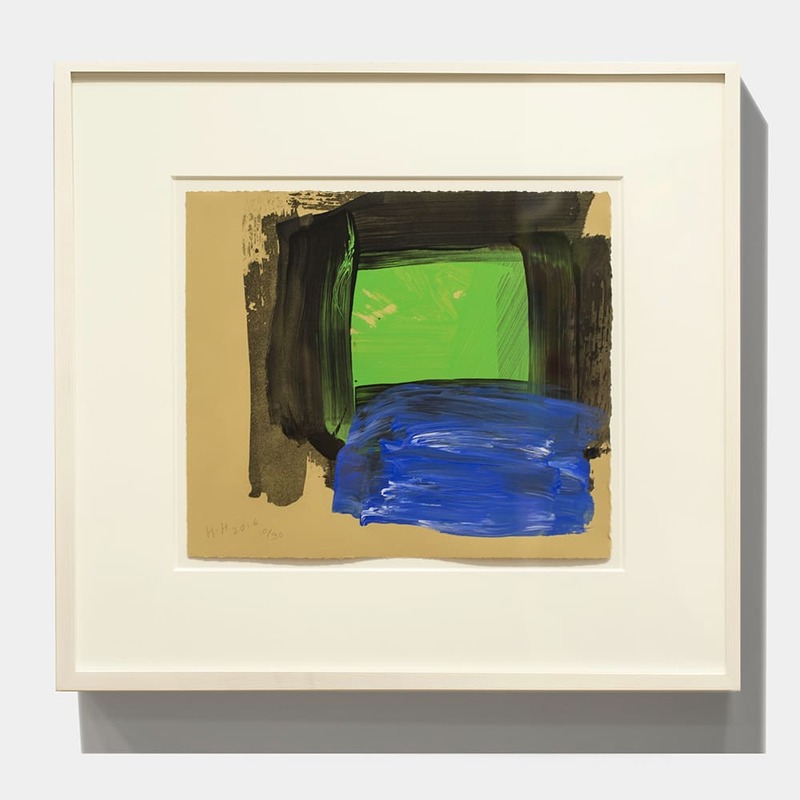 Hodgkin created a powerful body of large-scale prints, which were exhibited in Acquainted With the Night in 2012 and 2013.